Oregon Green Schools is a non-profit organization that has over 300 members in Oregon. It provides day to day actions and responsibilities for children to reduce waste and increase recycling efforts. It covers preschool to high school. The outcome is to give children positive experiences controlling their environment and help instill a sense of pride that they are improving the environment. MOA is now an Oregon Green School! 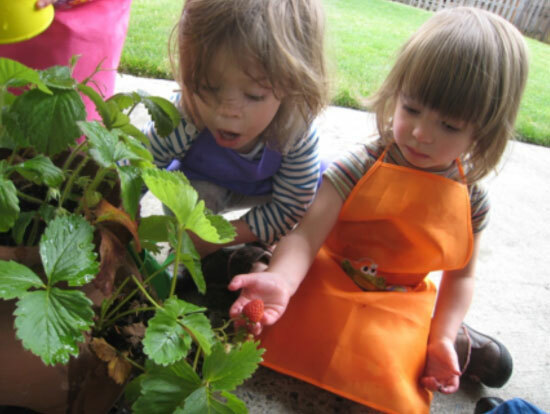 We are proud to announce that Montessori of Alameda became a certified Oregon Green School in April 2013. 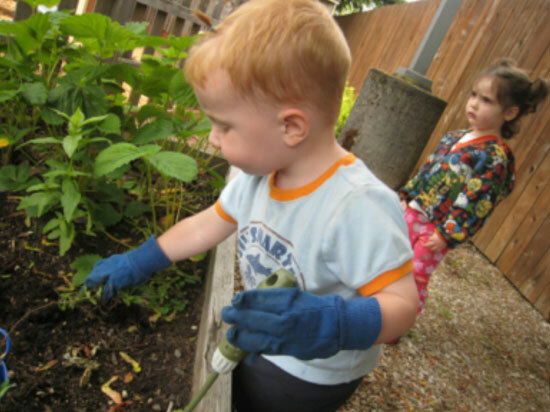 As a Montessori school, nature and caring for the earth are central to our everyday life. Being an Oregon Green School is a community effort at MOA and for us that includes involving everyone in our conservation efforts in all aspects of our school. As part of the application process our primary-aged children conducted waste audits to find out how much trash their classroom generates and what can be reused or recycled. Teachers have been discussing with all the children about protecting resources and only taking what we need. Classrooms have been studying the interconnectedness of ecosystems and the importance of balance within that context. We have made time to talk about the ‘little’ changes we can make at home and school i.e. turning the water off while we brush our teeth, turning off lights when we leave a room, etc. We as a community can make changes that will help preserve and improve the environment. We encourage our community to pack waste-free lunches using reusable bags/containers and buying in bulk. We discourage the use of single serving packaging like yogurt, string cheese and granola bars. We serve only healthy snacks made of whole grain ingredients, organic fruits or vegetables, nothing high in salt, sugar, processed or refined, and nut free. 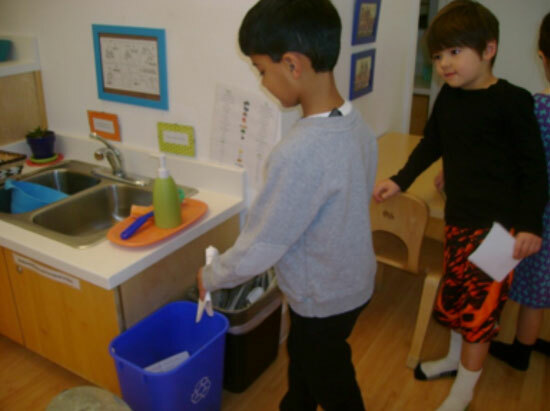 We use durable dishes and utensils daily in the classrooms and kitchen to reduce lunch and snack waste. We also use cloth napkins and cloth towels throughout the school. In our outdoor environments the children plant and maintain gardens that they utilize for growing food to eat and classroom work. We use no pesticides on or around the campus for the health of our community and to reduce the potential for such chemicals to enter our city’s drinking water. This summer we are implementing soaker hoses to reduce water waste. We encourage families to talk at home about the 3-R’s – reduce, reuse and recycle. We encourage each family to bring in flower/veggie starts and volunteer an hour to help plant them with the children. We can plant spring bulbs, flowers, vegetable starts, seeds, etc. We cannot plant any poisonous plants or flowers such as Larkspur, Monkshood, Autumn Crocus, Star of Bethlehem, Lily-of-the-Valley, Iris, Foxglove or Bleeding Heart. Please think of us when you are at the plant nursery, thinning out your garden, or dividing your perennials. Donations can be brought to your child’s classroom. Our staff and your children are the real stars of our Oregon Green School program. They learn and work together on a daily basis and truly inspire us all to be great stewards of the planet.